Dolls I *swear* I didn’t want…. Well it’s been a while.. last post I tried the blogger ate and I didn’t have time to put it back up again so I had to go a while w/o posting here. It’s been a busy time in the last few months…. I now do a regular pattern for Doll Magazine. The first of which is already out and the second is in progress along with enough to go through to next summer. Today is my daughter’s 5th birthday and I thought I’d write about some of it… recently she’s been a pain… stole one of her unwrapped presents which happened to be a Nellie mini American Girl… 3 days before her birthday… consequently it’s now one of an ever growing list of Christmas items. Her grandmother in Oregon sent her a package which I opened to find some nicely wrapped presents… again stashed them and found them opened but at least it was done today… it was a combo of her and her brother snitching them as I had them up and know it had to be a cooperative effort. Too late to re-wrap them so we found them and to my semi-dismay she had been sent a Bratz doll… now I’ve seen them in the stores and I’m not fond of the big head and long legged nearly body less doll.. I’m a “doll should look like a doll” or a “real person” with ‘correct’ proportions… I don’t generally like stylized human figures… I drove my illustration teachers batty with that but that’s another story. Anyway, I *swore* at one time that*I* would never buy a Bratz doll…. well upon looking at the doll further and then giving in because of a dismayed looking doll nutty 5 yr old who thought I might return the doll in favor of a different doll… I have kind of fallen for the Bratz dolls… to the point where I took a shoebox and instantly created a bed so that Sera would go to bed tonight! I’ve also like a nut told her I’d get Mrs. Claus aka me to make a ‘fancy’ dress for Jade (said Bratz doll). This is on top of Dolls Magazine patterns and other patterns and projects for other dolls not to mention the usual Christmas outfits I make for her and her brother! I try not to spoil the kids generally and this time of year is when I do spoil them a bit. So I guess I’ll just be extra busy sewing in the coming days… like a nut I also volunteer at school and have offered to do more work in the classroom since the teacher has a cast on his foot! I’ll manage to get most of what I’m planning done but some of the other things are going to have to wait LOL…. my kids are important to me and Mrs. Claus is going to be busy into the wee hours of the morning later this month I have a feeling. Well time to turn off the computer and sewing machine and get some rest! Well it’s been a few weeks since I last posted and I’ve had nothing but fun. I started out by doing a custom pattern for Tiny Kitty, which turned out beautifully and actually ended up with 3 views to the pattern- plain, slight petticoat and poufy princess petticoat. I now have a fascination for double circle skirt patterns due to how much fullness can be put into the skirt and how well it all drapes but how little bulk is at the waist! I have so much fascination in fact that I also did 3 other dresses with the same style skirt. One is a halter style top for my Beauty B Dollfie and the other 2 are strapless dresses for the Beauty B and also my Super Size Barbie. I had so much fun with these larger dolls that I’ve recently become hooked on the 16″ fashion dolls as well. Brenda Starr arrived just today and already she has a bodice pattern I’ll be testing tonight! In addition to the new patterns and new dolls, I’ve been busy developing 2 more classes that are running in mid October this year. Stylization 102 which is the next level of the Mini Drafting 101, which ran in August, and Cresindel a healer who likes to adventure as well! 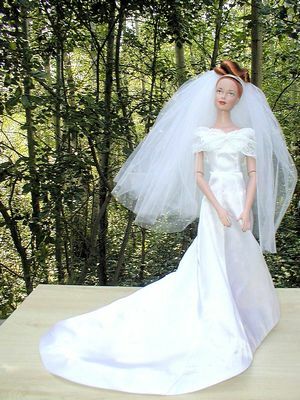 She has 2 interchangeable costumes and is only 4 1/2″ tall! Beyond that even I have been in the process of developing a Pattern Club…. not sure how it’ll work out but if anyone has ideas on how to run it drop me a note! I’m also thinking of offering a larger doll special edition 102 with the patterns used being pre made basic blocks so that the basics of stylization can be learned without having to learn drafting first! I recommend learning drafting first but I think there might be a few who would like to get to the fun part faster and Stylizations are certainly fun! Both things are still in the idea phase so all input is welcome! Well time to feed my children so I’ll end now. Well I’ve gotten my Dollfie… I adore her! 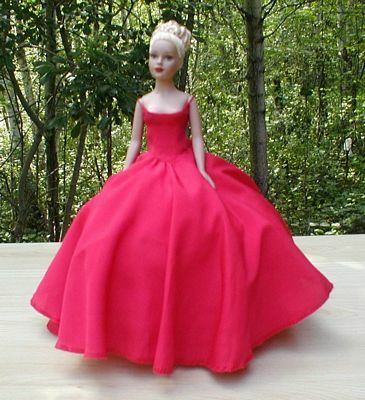 I also decided to join in on Dana of Miniature Art ‘s online class for Madeline through Mini Doll U later in August. It has also been determined that my Pattern Drafting for Ladies 101 class is not going to be repeated for the rest of the year. This is due to this fall and early winter where I’ll be very busy moving and with holiday work and have decided that I can only handle so much solo. However the 102 Stylizations Class will be going on in late Sept! 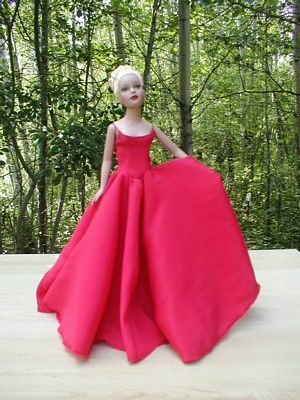 The larger doll classes are ongoing and 102 Stylizations for Larger Dolls will start also in late Sept or early Oct! I’ll have another class for a lady dwarf that is in the planning stages and looks like it will be going on sometime in October! I’m hoping to hear back on the purchase of a Ginny soon and look forward to hopefully adding her to my collection. I also have a friend on another list who is looking to make space in her house and has some dolls to send me… I seem to be a doll magnet this month… Dollfies, Tika, porcelain mini dolls and some surprise dolls! Keep an eye out for more info on new patterns as I am nearly done with a couple more designs for Tiny Betsy who is so easy to sew for while sewing for my children this summer! I am now behind on my incentive sewing for my daughter… I trade chores and good behavior for doll clothes… man does this work well! I owe her about 6 outfits now. I should also have patterns for Tika, Dollfie (gee she needs a name badly) and any other dolls that I don’t already have pages up for! Well I have many new ideas and a couple new dolls I’m currently going to be playing with. I bought Tika a Flava who has an unusual body. I knew humans had fit problems but this doll definitely has them. She bends and moves just under the bust making her great for poses that are different from standard Barbies but she also has an “S” curve torso that gives her a long side and a short side along with a high hip and a low hip that are drastically different. Bearing that in mind I plan to use her as a guinea pig in my Pattern Drafting for Lady Dolls 101 class shortly when I start the lessons over in a couple weeks. As for styles for this doll I’m thinking a lot of asymmetrical items might be what she needs or some nice tummy show off items … crop tops and hiphuggers…. perhaps a hip hugging skirt that flares at the bottom about knee length out of a mock denim (there’s a fat quarter blue that looks a lot like denim that would be perfect!) I’m also thinking a crop top peasant blouse in possibly the light blue silk I found at the thrift shop the other day (silk scarf that was tossed in as part of a $5 bag sale that still has a new sticker on it priced at $8!) When she’s done she will have patterns and such on the Flavas page. My next doll is a Dollfie from the company Volks which is based in Japan. The Dollfies are articulated in more places than most of your average dolls and are based on anime style people who usually have bright color hair with big cartoon-ish eyes. These dolls however, have the ability to use acrylic eyes similar to those used for larger porcelain dolls which is what I opted for along with a honey gold wig. I’m not sure yet what styles this doll will want.. 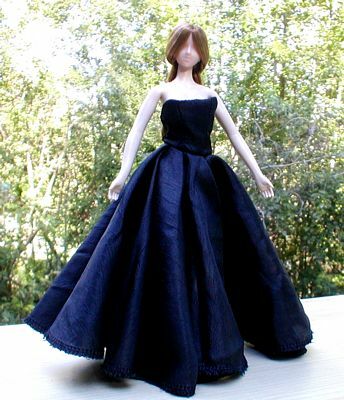 I like to let the dolls set what they will wear… they give me the inspiration to design and draft for them. The last is another Dollfie but this time he is a buff man… but the poor guy has to go headless until I can order his head and eyes from Japan since the US distributor for these dolls didn’t have any in stock. I’m turning this doll into the comic book version of Wolverine for a friend to give as a gift.. but I have from now till Christmas to play with the doll and make stuff for him… IF I end up liking drafting and sewing for him, he’s going to end up with a lot of goodies…provided I can find time for it all! Other ideas include the development of special items for donation to various groups for prizes or to conventions. 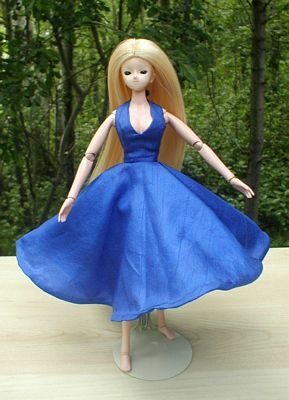 I am also in the planning stages of my next book on Computer Pattern Drafting for dolls and minis… not sure if that is the final title or if it’s going to be 2 books or what yet. I have also in development, special design classes… but I can’t say more on either the computer drafting or the special design classes yet as I need to do some serious work on both projects before I can tell anyone else more! OK it’s late and I want to do some other things tonight before bed so I’ll end this here.